Download and unzip the ‘Advice_Child_Theme_UNPACKME.zip’ file to your computer. Locate the advice.zip file in the Advice_Child_Theme_UNPACKME folder on your computer and then click Install Now. When the install is complete click on ‘Activate’, you will then see the Advice Child Theme as the active theme in your theme panel. This theme recommends the following plugins: Sticky Menu (or Anything!) on Scroll. Begin installing this plugin by clicking on Begin installing plugins. Click on Import and upload Advice Theme Options.json. Click on Import and upload Advice Customizer Settings.json. Click on Import and upload Advice Builder Layouts.json. Here you will find all the pages from the demo. Load the Home page for Advise and publish it. Go to appearance > Menus and create a new menu. Name it main navigation and assign it as the primary menu. In this design, we made the top header, menu, and footer as a global section. You can notice this by the yellow/green color of these sections. Same goes for the review image and the phone number. 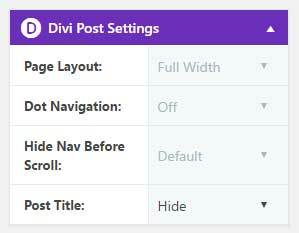 If for example, you don’t want the review image then you can just remove this or replace with any other Divi module. Do the same with Menu Global, Contact bottom global and Footer Global.